D Kumaraswamy might not be the best candidate for "Family Man of the Year". He might not even be a nice guy. He might not work as a Mr Family Values poster boy anywhere. But that should not have anything to do with whether he gets to be chief minister of Karnataka or not. 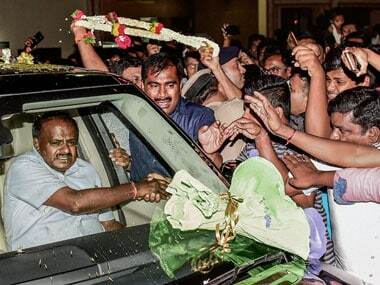 Ever since the Congress-JDS combine managed to outmanoeuvre the BJP in Bengaluru, pictures are doing the rounds of Kumaraswamy with Radhika, a Kannada actor who was supposed to have been "married" to the already-married Kumaraswamy for about a decade until they split up a couple of years ago. No one is denying the relationship. 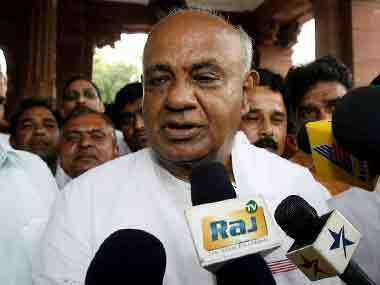 No one is denying that his father HD Deve Gowda was very unhappy about it. No one is denying that for a while Kumaraswamy split his time between two homes. No one needs to excuse or justify that behaviour. But there’s no point trying to scupper his public life by using his private affairs. Kumaraswamy’s affairs are being used to paint him as a bigamist but the sorry fact is in our log-kya-kahenge society there is less stigma attached to bigamy (even if it’s not legal) than to being the unmarried mistress, the "other woman". Our television soap operas routinely sanctify that temple-wedding veneer of legitimacy, turning that dab of sindoor into some kind of social stamp of approval. Why is it surprising that real life follows suit? We are far more concerned about appearances than the letter of the law. Kumaraswamy is not the first politician who has set up parallel families with impunity. The paterfamilias of Tamil Nadu politics, M Karunanidhi has been married three times. The first wife Padmavathi has died but the other two Dayaluammal and Rajathiammal are both known to the world as his wives. That third marriage was via the swayam maryada kalyanam or marriage of self-respect which requires neither priests nor courts, just the blessings of elders. It has certainly not hindered Karunanidhi’s political career in Tamil Nadu. The marriages have not been hidden or denied. "Chinna veedu (the other home) has been the staple of Tamil classics and cinema and continues as a tradition in politics too," writes Anuradha Raman in Outlook. Raman writes another DMK leader TR Baalu also furnished two names under the spouse category. The legality can be questionable but the bigamy slips through a loophole of the Hindu Marriage Act unless the first wife herself complains as an aggrieved party. Is it unfair? Yes. Is it patriarchal? Absolutely. But it is also far too commonplace and most voters, even in a conservative state, do not care. Of course if a powerful woman was discovered to have two husbands, that would be another story altogether. If we start rummaging in the bedrooms of politicians there is plenty of dirty laundry to be unearthed and that dirt cuts across party lines. BJP MP Hema Malini presides over a second family herself since Dharmendra never divorced his first wife. 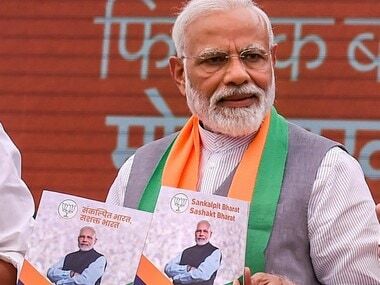 The BJP complained to the Election Commission that then Uttarkhand chief minister Harish Rawat of the Congress was lying and hiding the fact that he had two wives, and had not divorced his first wife Basanti Devi although his nomination papers only mentioned his second wife Renuka. In Gujarat, more than one BJP MLA has been found to have stashed away a couple of wives. Some like Harijivanbhai Patel and Madhu Srivastava even mentioned two wives in their Who’s Who as did Congress MLA Hemaji Darghaji Rajput according to a report in The Telegraph. When former Guarjat chief minister Amarsinh Chaudhary was prosecuted by his first wife Gajraben he insisted he had never legally married her. Parallel families are a fact of life in Indian politics. Kumaraswamy at least calls his episode a closed chapter. For other politicians, it’s very much an open book. The surprising fact about polygamy in India is that the last census that looked at marriages by religion and community found Hindus had a higher incidence rate of polygamy (5.8 percent) than Muslims (5.7 percent) did. Muslim Personal Law might allow multiple wives if you can support them equally but it’s not that common in practice. "Bigamy, on the other hand, is fairly common and that’s true across religions," said feminist publisher Ritu Menon. No wonder voters are fairly blasé about politicians and bigamy. 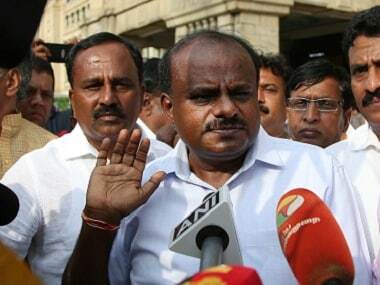 What is happening to Kumaraswamy is plain and simple mudslinging. It is meant not to derail his chief ministership as much as it is meant to sully his reputation. But the hypocrisy is that in the name of standing up for the rights of women, whether first wives or second, we are happy to drag their reputations through the dirt too, collateral damage in a political mud fight. Radhika is a busy actor in Kannada films now. Her past affair is her past. Those who rake it up to tarnish the reputation of Kumaraswamy obviously do not care that in the process they are turning Radhika and his wife Anitha into tabloid fodder as well. If bigamous politicians are truly a political issue, let a party have the guts to say they will deny tickets to anyone doing it. Let politicians on a moral high horse make it a cognizable offence whether the first wife approaches the police or not. Let the party without a bigamous politician in its closet cast the first stone. Until that happens across the board, there’s no point in selective whataboutery. It certainly does not help the women caught in the crossfire. As far as politicians go, we’d be better off digging for other kinds of dirt – from payoffs to corruption to ill-gotten wealth. That would be a bit more relevant to the kind of leader he would make than sniffing out scandal in his relationship history. 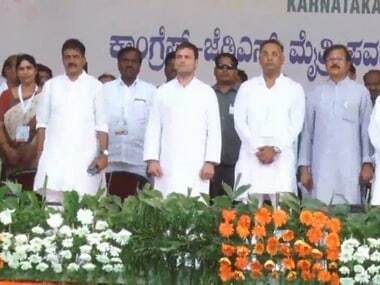 Who knows, given that his new job requires him to manage the fractious shotgun marriage between Congress and JDS, perhaps Kumaraswamy’s skill in maintaining two families might come in handy yet.